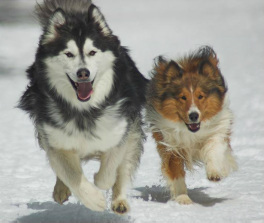 There is lots to look at and lots of information for those of you who LOVE...... Shetland Sheepdogs or Shelties. We are an active household that is always on the move. My dogs are involved in the conformation or breed ring and the performance rings. Please check out the web site and feel free to ask me questions. I am a member of the American Kennel Club Breeder Of Merit Program. Cola X Hershey puppies were born on December 15, 2018. They are not available at this time. They will be staying here at Sunspun Shelties to be grown out for the show ring. Enjoy the pictures of them growing up and their adventures! *****IF YOU ARE INTERESTED IN A PUPPY, PLEASE GO TO THE AVAILABLE TAB AND FILL OUT THE BUYER APPLICATION. On Friday, November 8, 2013, Tech, Grand Champion Sunspun System Analyst now adds another title, a BISS (Best In Show Specialty) to the beginning of his name. I want to thank Shetland Sheepdog Specialty Judge Gayle Eads for awarding Tech Best of Breed at the Tampa Bay Area Shetland Sheepdog Specialty. His owner and handler Cathy Smith together with Tech, make a fantastic team. At the Orland Cluster on Saturday, June 22, 2013, Turbo, Sunspun System Analyst was awarded a major RWD. I hadn't had him out in two years (waiting for him to grow up), and I was very pleased with him and the placement. Thank you Judge Mark Lucas. At the Orlando Cluster on Friday, June 21, 2013, Judge Thomas A. Kilcullen, awarded Tech, Sunspun System Analyst Select Dog. With this award, he earned his Grand Championship. Tech went on to earn two more major Select Dogs Saturday, and Sunday to give him 32 points towards his Bronze Grand Champioship. On Saturday, December 8, 2012, Tech, Sunspun System Analyst earned his 14th point towards his championship in Judge Virginia L. Lynn. Then on Sunday December 9th. 2012 Judge Helen Lee James awarded Tech is last point (15th). He is now CHAMPION SUNSPUN SYSTEM ANALYST. He looked fabulous and I am so proud of his owner and handler, Cathy Smith of Cadance Shelties and Keeshonden. WHAT A WHIRLWIND OF A NATIONAL, MARCH 3-10TH 2012. Tech (loved by Cathy and Mike Smith (and I) and owned by Cathy and I, was expertly groomed and handled by Jessica Starbuck in the Ope Sable Class. Judge Rick Thompson awarded him FIRST PLACE IN THE OPEN SABLE CLASS and then...................................RWD (Reserve Winners Dog). What an honor. It was very exciting. check out Tech's page under DOGS. Frustrated by the absence of quality dog foods in the market and a series of high profile industry recalls by supposed reputable and higher quality brands, two friends and life-long dog lovers began making their own dog food with all-natural ingredients based around a wild diet. After noticing the improvements in their dogs’ health and appearance in just a few weeks, it dawned on them that others might want to see the same benefits in their own dogs. These soon to be business partners decided to sell a batch of 50 lbs at the local farmers market in Hollywood, FL to see if there was any demand for their home-made dog food. That weekend was a sign of things to come as they completely sold out by the second day. Picture this, the food was in unlabeled containers and marked with tape. In spite of this, customers decided to try the food based on hearing the basic ideas of a higher quality dog food. Maverick Pet Foods was born the following week and their food was called Nature’s Kitchen since it started in the kitchen of one of their homes and it was designed after the natural recipe for dogs living in the wild. Those meager beginnings have propelled Maverick Pet Foods into the upper echelons of the dog food world, for those that have sought after the highest quality food – from owners of Westminster Champions, to Veterinarians looking to focus on nutrition rather than only medicine, to Breeders looking for a food that has it all, to pet owners that simply want the best for their dog – all have found what they are looking for in Nature’s Kitchen, and Genesis RAW, from Maverick Pet Foods. www.yum4dogs.com. Another great saying that my youngest daughter posted. "Dogs come into our lives to teach us about love, they depart to teach us about loss. A new dog never replaces an old dog; it merely expands the heart. If you have loved many dogs, your heart is very big."